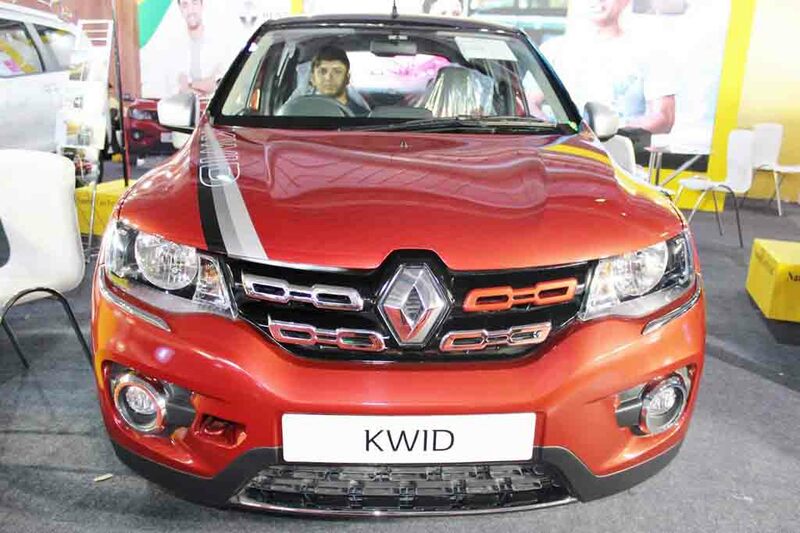 Renault has seen immense success with the Kwid hatchback in the Indian market. 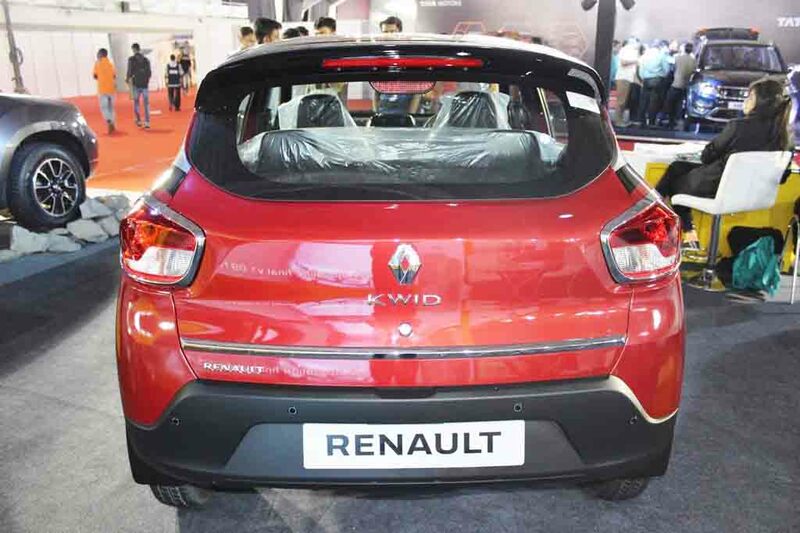 The French auto manufacturer has displayed an accessorised version of the car at the 2017 Surat International Auto Expo, where the hatchback garnered pretty good response. It is based on the 1.0L AMT RXT top-end model. 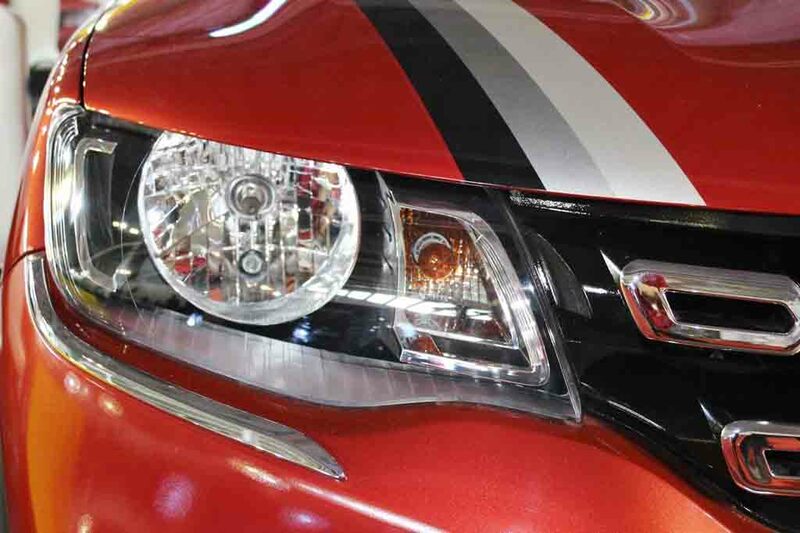 It gets red trim at the front grille enhancing the sporty style. 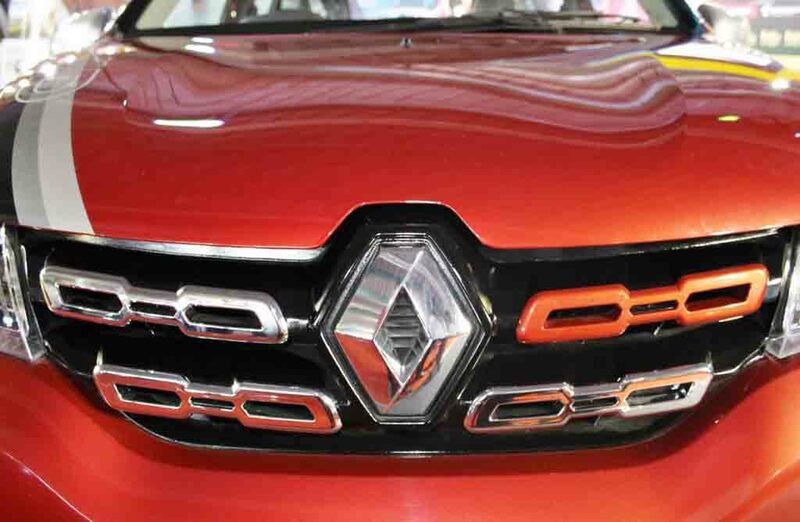 Along with that, the Kwid also features chrome trim on the bumper and around the fog lamp as well. 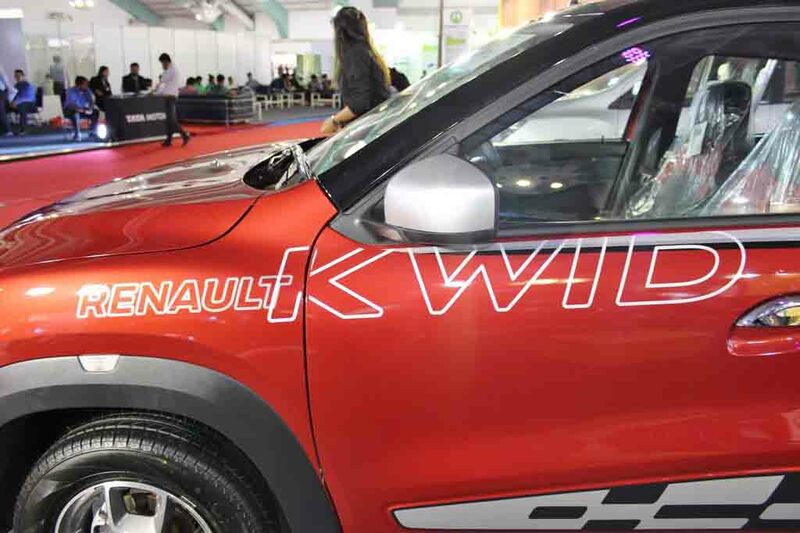 Moving to the side profile, the Renault Kwid hatchback comes wearing ‘Speed Sport’ body graphics on doors, sporty alloy wheels and silver coloured wing mirror cap. Apart from that, the dual tone exterior theme adds enthusiasm to the car. 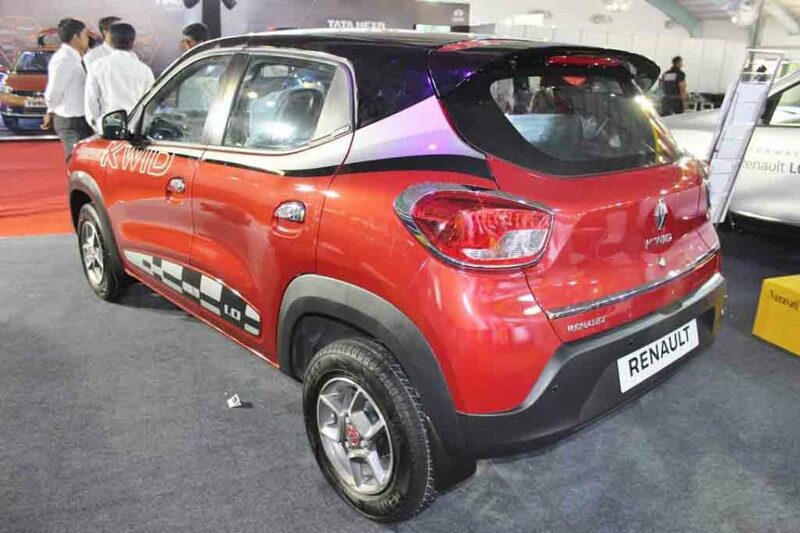 The rear fascia of the Kwid showcased at the event gets chrome trim around taillights, and tailgate as well. Not only on the outside, inside the cabin too, the accessorised Renault Kwid appears stylish. It gets dual-tone dashboard, MediaNAV touchscreen infotainment system, central locking and remote keyless entry. 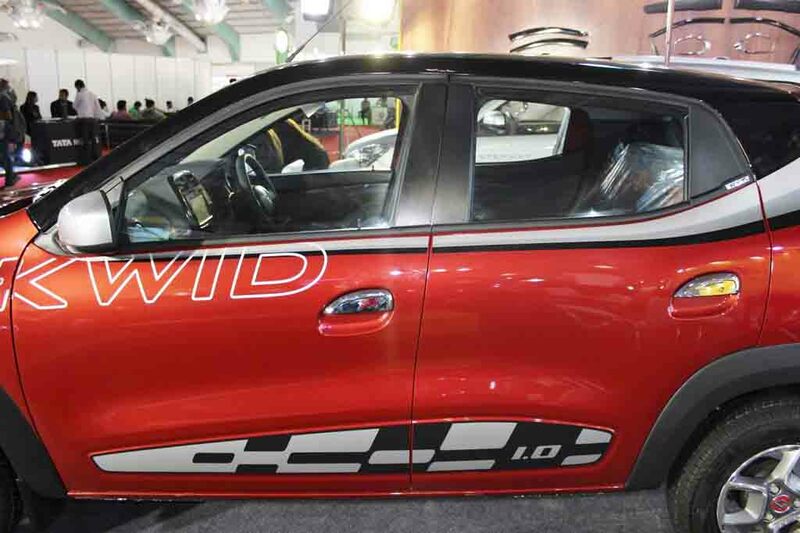 Power source for the vehicle is a 1.0-litre SCe petrol engine mated to an AMT gearbox. 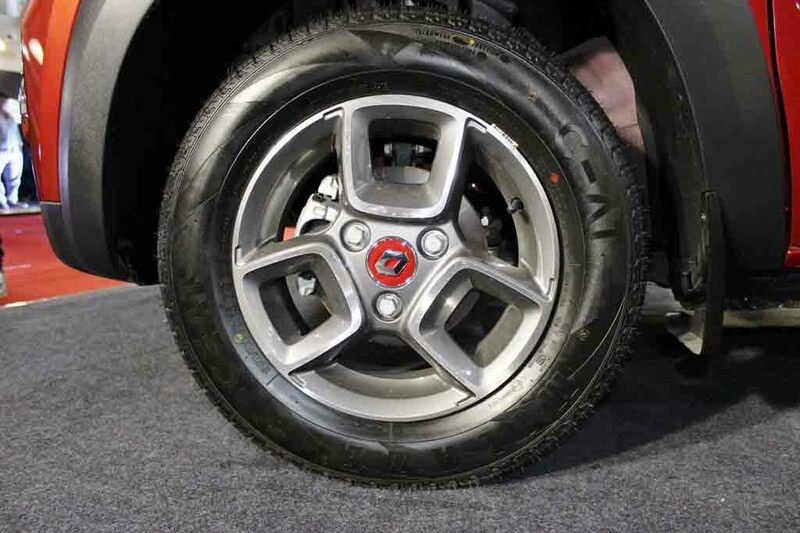 It churns out 68 PS of peak power at 5,500 rpm and 91 Nm of peak torque at 4,250 rpm. 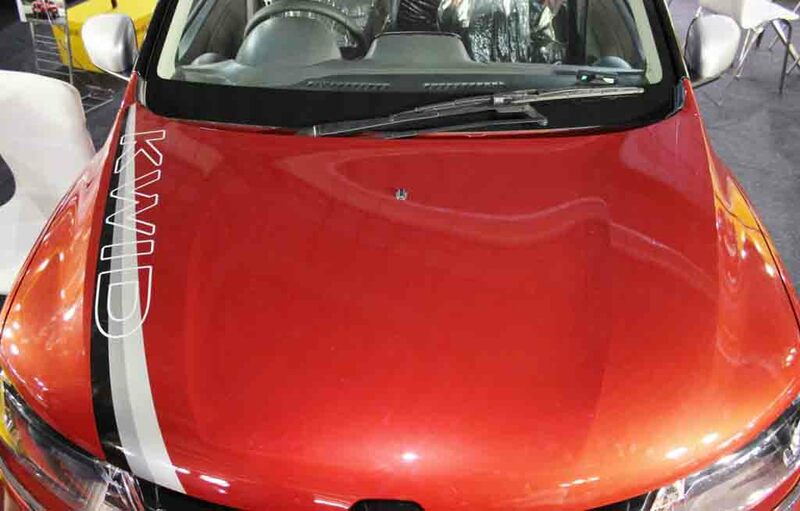 It delivers an impressive fuel efficiency of 24.04 kmpl. 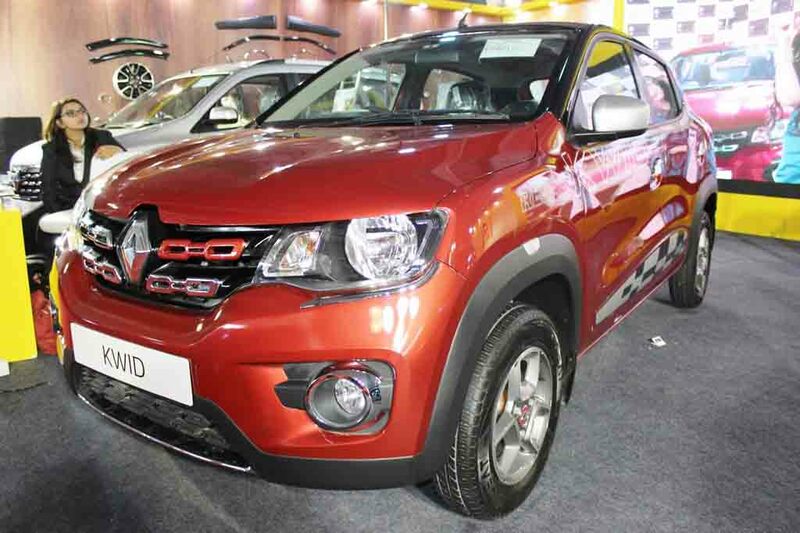 While the Kwid is already very attractive and popular car in our country, an accessorised version on offer will surely take the game up for the French automaker.